Exclusive to the service is Batman: TAS in HD for the first time. Superman: TAS isn't mentioned or shown anywhere that I can see, but Justice League and Batman Beyond are there, so its always possible that it wasn't as big of a selling point as Batman or it'll appear later on. Nice, well as long as it isn't stupid expensive I'm sold. I have a wireless blu ray player where I stream Netflix, Amazon video, youtube, etc. I wonder if the DC Universe can be streamed through it. I saw on the website that it mentioned amazon fire and some other devices. It says through the web too which leads me to believe it'll be available for smart tv's. I signed up for the beta so hopefully I get picked. I signed up too thwhtguardian, we will see how it goes! Wow, if the price is right that looks pretty awesome... combining the Marvel Unlimited type set up all their video content. The comic content is curated though, unlike Unlimited. It will be a set selection and some of it will only be available for a limited time, focused on current series and a few key historical runs. It will mostly be Rebirth era stuff, with a few new52 titles and a few selected historical first appearances, you won;t see vast tuns of series from DC's past. 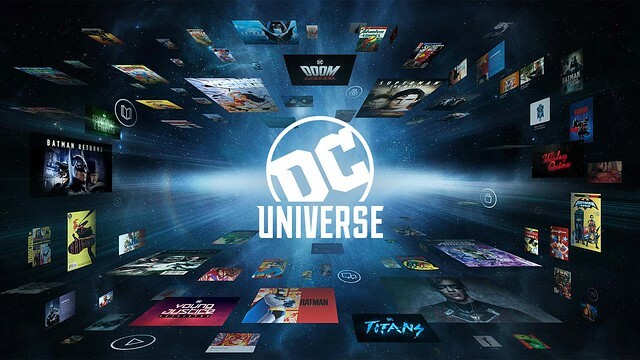 It's an ok first step in terms of what it is, but it will in no way approach what Marvel Unlimited has to offer, and unlike Marvel who keeps adding content and keeps old content available, it looks like DC will replace older content with new content, not keep adding to the total available. If it had been full Marvel Unlimited style (even if not yet in scope as Marvel has had years to add tot heir library) I would have been on board in a heartbeat. If the digital library wasn't included at all, I was likely a hard pass and wait for the new content to be available in some other format. Now I am kind of on the fence and am going to wait and see until more details become available as to cost, how they will release new content (dropping whole seasons like Netflix, stringing it out an episode per week in seasons like CBS All Access did with Star Trek Discovery), seeing the "world class comic reader" first hand to see what they reading experience will be like, seeing what is (and isn't) included in the curated content, seeing how it compares ot what they make available via Hoopla or if what is available through Hoopla changes, etc. etc. Welp we took the 3 months free deal to sign up for the first year (well 15 months with the 3 months) on the preorder available. We'll decide after the first year whether to renew or not and whether we will want to keep following the new shows and keep up on the comic content that way. I think it was $ 75.99 for 15 months. It's $7.99 a month if you do it month by month, and normally $74.99 for the year, but the special intro offer netted you an extra 3 months, so it works out to $4.99 a month. If I were to buy 2 DC comics a month, it would cost more and I will read at least 2 comics a month, plus all the tv content, so we decided to take the plunge. It officially launches tomorrow. Looks pretty snazzy. There's no better day to launch DC Universe officially than September 15th, Batman Day! We've got tons of Batman goodness for you, including six live-action feature films, animated movies including this year's Batman Ninja, and Batman: The Animated Series in glorious HD. If you're a comic lover, you're also in the right place. We’ve got over 400 Batman comics alone, including Frank Miller's groundbreaking Batman: Year One and The Dark Knight Returns. And there are countless other comics, movies, and shows here for your enjoyment. The comic library is pretty impressive IMO, esp for a non-comics reader. Lots of stuff is broken up, so you have to keep coming back for the next chapter, which is fine. Here's a list of what they've opened with. Pretty impressive IMO with only a few quirks. Can you stream it through a wireless blu ray player? I really don't want to have to buy an additional device (firestick or whatever) just for this service. I'd prefer to watch the shows on tv rather than my lap top.